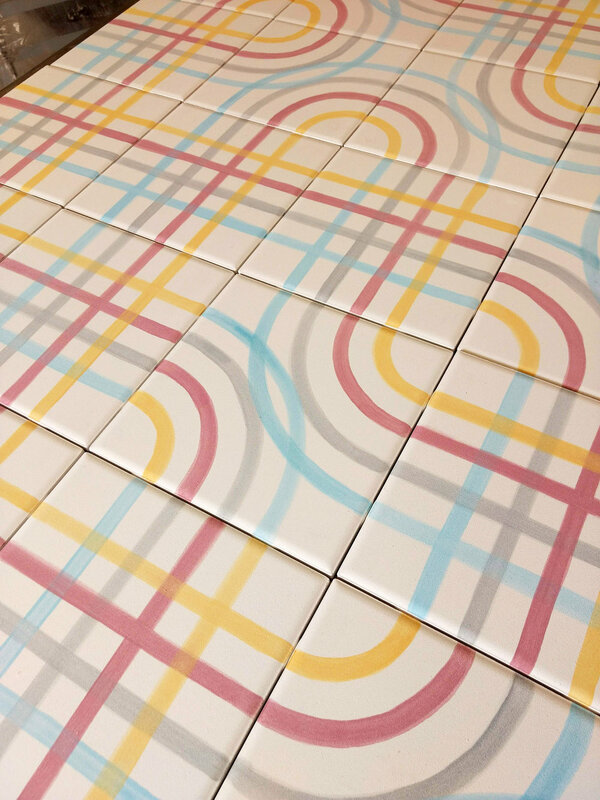 These modular pattern tiles were developed as a way to let people develop their own design within a preset framework. They are hand painted with an underglaze and glazed with a clear satin finish at MF Pottery in Leavenworth, WA. The idea is like graphic legos. Anyway you put them together they make new and unique designs. You can plan the graphic you want or you can place them randomly edge to edge but they always form lines that are harmonious and balanced whether in a row of two for a backsplash or an entire wall. Please see the project post and blog post about this project for more details.